If you have something to do then you are responsible and if you do something for someone then you are also accountable. Steven Covey, author of many effective habits books says that accountability breeds response – ability. In other words it is the manager who sees the work gets done and the work force that follows through with their skills and physically completes the actual work. This is the response to the ability to do the required work but the accountability is the answer-ability for the task to be completed correctly. In managerial terms the two ideals partner one another as they are leadership expectations. Project managers in particular know how these two concepts work as they may delegate responsibility during a project but are still held accountable for the outcome. The manager may delegate responsibility at any time but still remain accountable throughout the project. The dictionary defines these two words in very similar terms and the descriptions seem almost interchangeable. Responsibility means to be accountable and if you are accountable you are responsible. Synonyms for the two words reflect the same descriptions and when things go wrong we often hear the two words used in the same sentence. Responsibility is used correctly but often the deeper meaning of accountability is lost. Take a look at these two words used in context in the home environment. Children can be responsible for tidying up their toys, laying the table or putting out the garbage but parents are accountable for putting food on the table and providing a safe home space for the children to live in. There is a ‘task to be done’ as a responsibility mind-set and a consequences mind set or outcomes and accountability response. Accountability is empowering while responsibility is an obligation or an order to perform a particular task. Henry Ford, the man behind the assembly line concept, introduced a way to speed up the manufacturing of cars in the early twentieth century. The assembling of cars using the assembly line in the factory was a perfect illustration of responsibility and accountability working together. The factory workers were responsible for each piece of assembling of the car as it arrived in their workspace. The speed of production increased as the workers did not have to move around to fetch parts and were responsible just for their small work area. The managers were able to be more accountable for production as the process was quicker and there were fewer accidents in the work place. It was beneficial all round and a good example of responsibility and accountability working together. In this simple quote there is a reason to believe that both responsibility and accountability have played their part. Each and everyone of us can take this to heart and together with responsibility and accountability on a personal level make a success of life. Christina Wither. "Difference between Responsible and Accountable." DifferenceBetween.net. 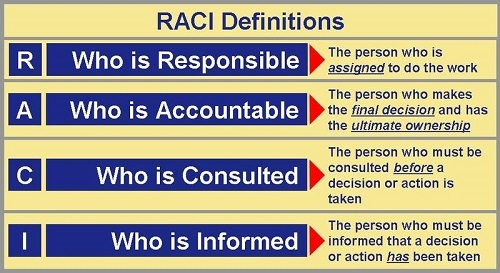 December 21, 2018 < http://www.differencebetween.net/language/difference-between-responsible-and-accountable/ >.